Tutors help students in grades 6-12. 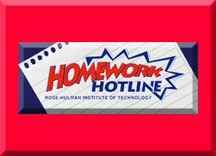 Call toll free at 1-877-ASK-ROSE. The program is funded by Lilly Endowment, Inc. and Rose-Hulman Institute of Technology. Founded in 1999, Brainfuse is one of the nation’s leading online education providers, serving a diverse client base of libraries, school districts, workforce centers, and universities. With Brainfuse, users receive real-time tutoring and career assistance from certified instructors via our proprietary online classroom. Comprised of 25-30 administrators, faculty, and staff from the University of Notre Dame, the South Bend Community School Corporation, Saint Mary’s College, Holy Cross College, Indiana University South Bend, and Ivy Tech Community College, the Education Collaborative Council is a mutually beneficial partnership whose purpose is to help guide strategic, long-term efforts to positively influence student performance and test scores, and to improve graduation rates in South Bend. Provide partners with constructive resources to meet the educational needs of diverse students and families. Assess the factors that contribute to student success in the classroom. Ensure that partners have equitable access to life-long learning experiences needed to flourish in a global society. Through the ECC, Notre Dame is joining with higher ed and community partners to contribute to positively impacting K-12 education in South Bend by providing: curriculum innovation/instruction support, leadership formation, professional development, parent education, magnet programs support, management training, relationship building, research/evaluation, vision, and direct support—mentors, internships, and research opportunities—to South Bend Community School Corporation students. If we lack a vision for what K-12 education in South Bend can and should be, we’re doomed to see graduation rates continue to fall, poverty to rise, and community development to fail. That’s the unfortunate reality. The Education Collaborative Council is Notre Dame and the community’s response to that reality and its attempt to make life long learning a top priority. Growing Stars is the pioneer in affordable online tutoring. Our program is designed for convenient and effective tutoring, wherever you may be. With our individually tailored curriculum and one-on-one tutoring sessions, we help children develop a renewed interest in learning. The result? Better study skills, which leads to grade improvement in school. We will help your child realize that they have what it takes to be successful! The IEI strives to improve the education of all youth, particularly the disadvantaged. Its teaching, scholarship, and service reflect Notre Dame’s commitment to advance K-12 schooling. Distinguished scholars, including IEI Fellows across the University, pursue interdisciplinary collaborations to make a difference in crucial areas of education reform, with particular attention to Catholic schools. Resources for educational excellence include distinctive graduate-level programs that form teachers and leaders. 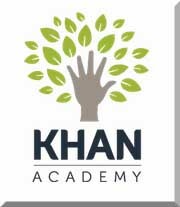 A free world-class education for anyone anywhere.Khan Academy is an organization on a mission. We're a not-for-profit with the goal of changing education for the better by providing a free world-class education for anyone anywhere. Kaplan offers comprehensive courses to help prepare students for entrance and licensure exams. 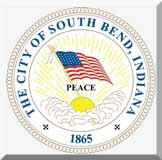 The city of South Bend Mentoring Initiative’s mission is to significantly increase the number of mentors in our community. The Mentoring Initiative is not a new mentoring organization, rather, it is a promotional initiative designed to support the city’s two primary mentoring programs: Big Brothers Big Sisters of St. Joseph County and the South Bend Education Foundation’s Mentoring Program. Please volunteer your time or financial support to enhance mentoring in the city of South Bend, and please visit http://www.bbbs-sjc.org and http://www.edfo.org/mentors.htm to donate or become a mentor. The NTA was formed in 1992 for the purpose of establishing a membership organization for tutoring professionals. Over the past years, the purpose has expanded to promote education, specialization, and scientific research. The NTA is now the oldest and largest professional association dedicated exclusively to tutoring, and represents the interests of thousands of tutors in the U.S. and thirteen other countries, practicing in all phases of tutoring, program administration, and supplemental student services. Members represent colleges, universities, high schools, middle schools, elementary schools, school districts, literacy programs, community programs, grant supported programs, and NCLB/SES providers. We welcome membership from peer, paraprofessional, professional, volunteer, and private practice tutors. The Robinson Community Learning Center (RCLC) was started in 2001 as an off-campus educational initiative of the President’s Office at the University of Notre Dame in partnership with Northeast Neighborhood residents of South Bend. The RCLC staff continue to be part of Office of Public Affairs at The University of Notre Dame. Programs are overseen by a program advisory board comprised of residents, partners, ND faculty/staff, and students. An estimated 600 participants come through the doors of the Center each week for regular programming. The Center also partners with the community schools in the Michiana area, with program outreach that connects with nearly 8,000 additional youth per year. This level of outreach is only possible due to strong and intentional relationships with community partners and the shared resources of the University and community. Learning CenterHundreds of college volunteers participate in the RCLC tutoring program each year, matched one-to-one with area children. In addition, the RCLC maintains a commitment to provide a high-quality technology center. Classes are offered in basic computing, financial literacy, entrepreneurship, advanced skills, and more. English as a New Language (ENL) classes are offered by the South Bend Community School Corporation’s Adult Education Department. There is also a preschool for the children of ENL students. Literacy & Outreach Services is a resource for individuals who may need assistance in utilizing the library due to language barriers, as well as, physical, developmental, or learning disabilities. 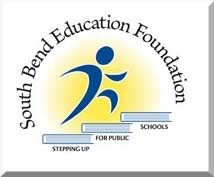 Do You Have an Hour a Week to Meet with a Child of South Bend Schools? Mentoring means, "getting to know another individual and then acting as a support for that person." Each child is unique with different needs. The need for positive self-esteem is addressed through the mentor's acceptance of the child as a worthy human being. Children profit from the wisdom, guidance and attention that the mentor gives them. 1) Mentors will be asked to volunteer one (1) hour per week at the student's school at lunch. 2) For the safety and protection of all children, a completed application form (below) must be submitted giving permission for a criminal background check. 3) Potential mentors will be contacted to be assigned a one (1) hour training session. 4) Both mentors and students will matched based on interest information. Find the Right Tutoring ProgramThere are many reasons why your child might need extra help with school, tests and homework. At Sylvan of Mishawaka, we’ll work together to customize a plan based on your child’s unique learning needs and academic goals. TRiO Programs boost every child’s chance for success by helping students from underserved backgrounds overcome social, cultural, economic and academic barriers to higher education. The U.S. Department of Education’s TRiO Programs are federal outreach and student services programs designed to ensure equal educational opportunity for all Americans, regardless of race, ethnic background or economic circumstance. Collectively, these programs assist young people from low-income families and potential first-generation college students as they progress from middle school, high school, college and beyond. 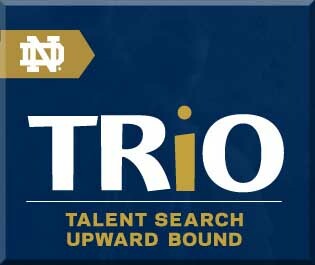 In partnership with the U.S. Department of Education, the University of Notre Dame proudly hosts two of TRiO’s college access and preparatory programs: Talent Search and Upward Bound. Since the 1960’s, Notre Dame’s TRiO Programs have been essential to helping thousands of local students lay the foundation for a lifetime of achievement. Through tutoring, mentoring, academic counseling, career exploration, cultural enrichment and community service, today’s students continue to reach higher, dream bigger and expect more of themselves as a result of their experiences with TRiO. Notre Dame’s TRiO staff is dedicated to offering unsurpassed learning opportunities that provide encouragement, accountability and ongoing support as students and alumni strive to excel in school, work and life. In doing so, our team advances the University’s core mission to promote the holistic formation of students—mind, heart and spirit.